Heather Dessinger 164 Comments This post contains affiliate links. MTHFR <- No, it’s not a swear word. I’ll admit, I thought it was the first time I read it, but as it turns out it’s something much more important. 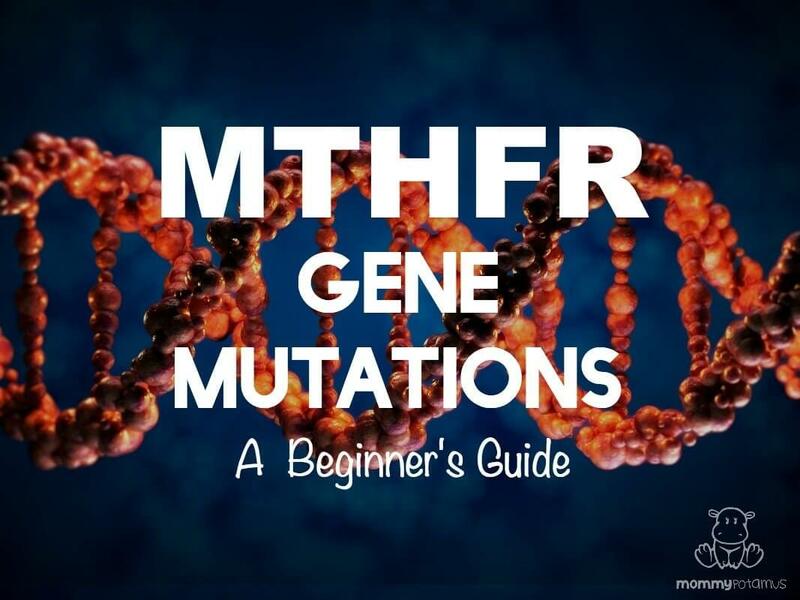 MTHFR is an abbreviation for a genetic mutation that affects 30-50% of our population, although most of us don’t know whether or not we have it. So what is MTHFR, exactly? Ahhh, good question. Before we jump in, let me just say that this “Beginner’s Guide” is simply an overview of the issue from my perspective as someone who has MTHFR. I’m not a genetic expert, but I do link to resources created by experts at the bottom of this post. Now, let’s get started . . . Imagine one of the recipes in your DNA cookbook is for mayo, except the instructions got a little garbled and you ended up with something that is almost like mayo, but not quite. Every other dish in the cookbook that calls for mayo would be affected, right? That’s essentially what a mutation is – a slight change to the instructions that can have sometimes small, sometimes significant impacts on other recipes. MTHFR specifically is a gene that holds the recipe for methylenetetrahydrofolate reductase – an enzyme that helps our bodies convert vitamin B9 (also known as folate) into a usable form called methylfolate. This process is called methylation. What’s the big deal about MTHFR mutations? When the MTHFR gene is functioning properly, it’s highly efficient at helping our bodies convert vitamin B9 (folate) into a usable form called methylfolate. When the gene is mutated, this capacity to convert vitamin B9 into methylfolate is reduced by 40-70%. That’s HUGE, because converting folate into a useable form is essential for DNA synthesis and repair, neurotransmitter production, detoxification, and immune function. Are all MTHFR mutations the same? No. There are over fifty types of MTHFR gene mutations . . . possibly more that have yet to be discovered. However, the two that are most commonly studied and tested for are C677T and A1298C. Can’t we just supplement with folic acid? Side note: Many lab tests do not distinguish between folic acid and folate when measuring blood levels. If folic acid intake is high, the results may show an individual has adequate amounts of folate when in fact what they actually have are high levels of unusable folic acid (but very little folate). Here’s the good news: Our DNA is not our destiny. DNA is like a musical instrument. It’s there, but in order to make music it needs something – or someone – to play it. That something is epigenetics, which literally means “above” genetics. The epigenome is literally a second genome that plays the first like a violin, turning genes on and off according to the sheet music. What is that sheet music, exactly? Our lives. Our choices. The food we eat. The way we interact with stress. Whether or not we get enough sleep. And for those of us with the MTHFR mutation, how we compensate for it in order to support overall function. If you have symptoms that relate to MTHFR and your doctor orders the test for you, there is a possibility that it will be covered by insurance. However, if for whatever reason the insurance company decides it is not covered, your out-of-pocket costs can be very high – sometimes over $1000. Definitely check with your insurance company and the lab you are ordering through to determine what your max cost might be. Personally, I opted to test through 23&Me. The cost is $199, and you get more information than just MTHFR status. However, I agree with the advice Dr. Lynch gave in this interview with Wellness Mama, which is not allow yourself to get overwhelmed by all the information they provide. He suggests just starting with MTHFR (if you have the mutation), then exploring other genetic mutations if the supplements/lifestyle changes recommended don’t have the desired results. My husband and I opted to test our two older children. (Toddlerpotamus is too young to produce enough spit for the test.) Our reasoning was that if they did have the mutation, it would be best to know so that we could take appropriate action to optimize their health. Okay, I have the MTHFR mutation. What now? This video from Dr. Ben Lynch. It’s long, but a very good starting point for understanding MTHFR. You have to sign up for his Seeking Health newsletter to access it. He doesn’t send emails via this newsletter very often. I also signed up for Dr. Lynch’s other email newsletter that is available via MTHFR.net. It starts off with very helpful beginner info, including what he calls his “safe and sane” way to supplement. 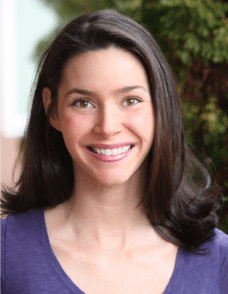 Wellness Mama has a great podcast interview with Dr. Lynch posted here. Chris Kresser also has a couple of helpful podcasts: “Methylation 101” can be found here. “Methylation: What is it and why should you care?” can be found here. Personally, I found that hearing different people explain MTHFR and methylation from their different perspectives helped me understand it better overall. 2. I sought the guidance of a MTHFR literate healthcare practitioner before beginning supplementation. Though it’s not a complete list, you can find practitioners who have completed some form of training here. In my experience, the level of knowledge can vary widely from practitioner to practitioner, so I would personally do some additional research and/or interview the provider before beginning a protocol. 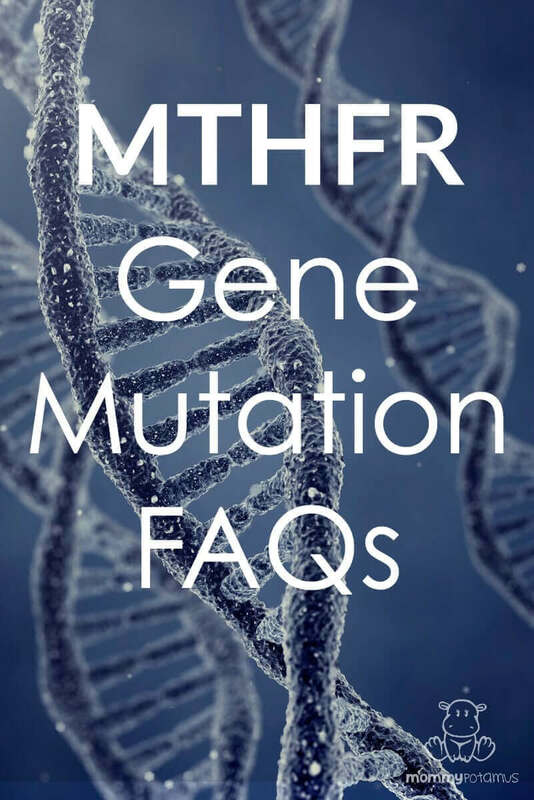 Next in this series, I’ll cover some of the most frequently asked questions about MTHFR gene mutations. I refuse all genetic testing. that being said I was dx with multiple sclerosis over 8 yrs ago. I took all the meds and became much more ill. i changed my diet and ditched the drugs and have found tremendous health. I do believe i have a mutation. i fit the bill and so does my family. my three lil ones have all been lip and tongue tied. I have tried to educate myself and have started taking SeekingHealth kids multi. I can only take 4 a day but WOW! I feel amazing. Some people who have been diagnosed with MS actually have Lyme Disease (and coinfections). Given that many MS medications suppress the immune system, these individuals get worse on the MS protocols. Please be aware of the fact that Lyme is continually misdiagnosed as MS and many other illnesses including fibromyalgia, depression, IBD, Parkinson’s, ALS, Lupus, psychiatric illnesses… The list goes on. 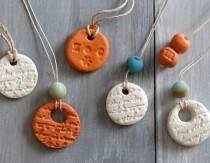 Find a Lyme-Literate doctor and check out ILADS.com for more information. Check out the book by Anthony Williams “Medical Medium”. He talks about all this. Exactly right! Speaking as another Lymie who was misdiagnosed many times over before I found the real cause if my health issues. Toxic mold exposure on top of the Lyme compoundedy illness and complicates recovery. People with Lyme are getting into remission by doing Wahl’s. A lot of them! Guessing this would be true if you were doing a Pharmaceutical protocol, since we react to synthetics. Everyone always have this comment for me. Thank you. I do NOT have lymes. I do come from a long history of processed food eating family. Was not breast fed and received solid food before even leaving the hospital. Combine that with a super sugar laden processed vegetarian childhood full of antibiotics and illness followed by a soy enriched calorie deficient young 20’s and well it was MS they diagnosed me with. I have completely reversed my disease and do not take any medications. I do eat clean and whole. It can be done! I was a few weeks from a wheel chair and now I am an active mom of three under six. I recently went on the Paleo diet for my MS and I lost over 50 lbs. I was feeling great and now not so much. I’m still on all my Meds. I was wondering if maybe that’s what’s making me feel so bad!?!?. I did Paleo with great success for an autoimmune disease, but when I started to see the effects wearing off, I added a few grains back in and that seemed to do the trick. Mostly potatoes and white rice, with occasional other things as a treat. I have also come off all meds, but I gave up on them before I started Paleo. They were expensive and they weren’t working! It’s Lyme. You may or not have it but please get the name right. For those of us who do have it, it is devastating. I wish you all the best in your quest for full robust health. For the record, I saw big improvements when I started supplementing for the MTHFR variants I have. Get well everyone! Many people test false negative for Lyme. It is super at hiding in different forms that cannot be detected. In addition, new bacteria that cause Lyme continue to be found. There are also new tick-borne diseases being discovered. Lol… I know… its one of those things that drive us all nuts… “IT’S LYME NOT LYMES”… of course, my family so redneck… half of them say OXYGENT (not even kidding)… and CHIMLEY (instead of chimney)… and I’m like “there is no “L” even in the word!! Arrggg… illiterate mthfkrs ? It is true that Lymes is often diagnosed as other health issues such as MS. I would strongly suggest that people go educate themselves about the benefits and the affectiveness of Bee Venom/Sting Therapy. It kills Lymes along with other super bugs and/ or coinfections that come with Lymes disease. YouTube has some great videos on Bee Venom therapy. It’s probably the most affective treatment for Lymes plus it is as not expensive as other options. Good for you!! That’s so encouraging to hear !! Thanks for sharing ..
Hip hip hooray! So happy for you! Are you following a low fat plant based diet? I really do believe we can Use food as medicine. Same was true for me. Went thru hell for 6 years taking every medicine doctors told me to and just wanted to die. Starting juicing stopped eating toxic foods and detoxed and was better in a couple months going on 5 years now. All meds worsen the problems………… diet changes and refusing vaccines, refusing all meds, that works. How can this (list of drugs) be established/what tests does it take to know what you can and cannot metabolize? Ang, that is not necessarily true for everyone. Please be careful and try not to generalize. Have MTHFR gene mutation and MS. Have never been on drugs. Have been on Swank MS Diet for 14 years, no more symps. You may have the MTHFR gene, but I’m sure you also realize you have an autoimmune system disease as well? I have one called Hashimoto’s thyroiditis and it reals hell on me if I eat ANY GRAINS, or don’t keep my Th1 and Th2 balanced. Chris Kresser talks a lot about this. What dietary changes did u make, that made such a significant change for you? How do you keep your th1 and th2 balanced? And how do you test that? I have hashi too. I want to get tested for mthfr but dont know where to start. Try ancestry.com or 23andMe.com as you can download your raw data and run it through nutrahacker.org and promethease. This is by far the cheapest way to do it. I tested my self, children, parents and sibling. We all have some form of MTHFR mutation except for my youngest son. Both of my other sons and myself are compound heterozygous. 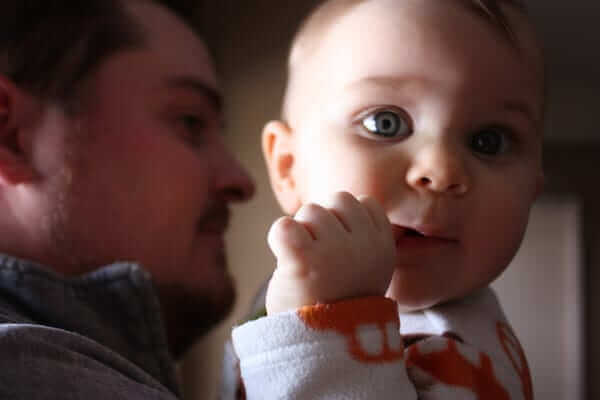 How would I test my 3 month old through 23andme? I’ve heard you need a good amount of saliva? Any tricks on how to get that much spit from a 3 month old lol, or another way to test through 23and me? Whitney not sure if you found the answer to your question yet. I touched the tip of my infant’s tongue with a sour candy so she would produce more saliva. Then I used a dental swab to collect the saliva, and wearing medical grade gloves squeezed the saliva into the collection tube. Here is a link to the swabs and gloves I bought. My toddler on the other hand is having nothing to do with me trying to put dental swabs in her mouth. Contact a Pathology Lab. for starters. I live in Australia and read about Homocysteine in overseas sites on the Net, many, many years ago. I approached so many doctors who each denied that high Homocysteine meant anything and should be ignored. Since I was in my early twenties I have developed a range of illnesses. I never knew if they were a result of high Homocysteine, what ever that meant or due to being on a RAAF base and receiving an injury where odd chemicals were rumoured to be present and where we cleaned Aircraft that were at Emu Field Atomic experiments. Finally the problems I developed from my twenties onward were initial blisters on my foot, thrombophlebitis, atrial fibrillation, obscure auto immune disease, CAD, (two lots of CABGs plus Stent plus pacemaker), stroke, several attacks (6 or 7) of Pneumonia and now heart failure. I lost one son to heart attack and one has had a stroke. I would appreciate any information anyone considers worth while, but a recent problem with infection in my legs has slowed me down and I am rather weak. Reasoning is simple, certain Nutrients in those foods had to have pathways to clear stuff like sulfur and for me, my mthfr status did not have the ability to do that. I am glad you found about about MTHFR and your particular issues with it that you have dealth with all your life. Vitamin B12 will help to bring down your homocysteine levels. You should get your b12 levels checked first. High homocysteine is often a sign of low b12, and also puts you at risk of heart disease. I know of a lady who has b12 injections due to it, because of the heart disease risk. She is in Australia too. I am in Australia too and have pernicious amemia so must take b12. What is lip and tongue tied? Interesting. Why are you opposed to learning about your genetic makeup? I have scleroderma andd am being tested for this gene ,I am doing Aip last month or so- anyone manage to reverse this? I am very keen to find ways that don’t involve the conventional drugs which scare me. However an experimental one called Anabasum based on cannaboids sounds interesting . Thank you for sharing!! I feel as though so many of us have this and do t know how to supplement! What are your thoughts on the Seeking Health optimal multivitamin recommended by Dr lynch? I also would like to use his electrolite formula but it is filled with flavors and stuff. Other than that, I love most of his supplements because he is so conscious of bad additives not being used. My favorite multi is Methyl Multi without Iron by Pure Therapeutics, it has NO FILLERS at all. is there a MTHFR mutation/Autism/Vaccine correlation??? There is a definite connection. Dr. Amy Yasko who is the researcher who has done more original work on this genetic pathway than anyone (and basically everyone who picks this up to use has her to thank), has especially focused on children on the autism spectrum because if you can intervene early enough, it makes a huge difference in a life yet to be lived! That’s not to say that adults don’t have some serious issues with not only MTHFR mutations, but many of the other gene in the methylation pathway can compound how to balance everything. For example, depending on your other genes besides MTHFR, you might be better with tydroxycobalamin or adenosylcobalamin, rather than the active, methylcobalamin. Your body might be able to use those forms better and have fewer problems with those as opposed to methyl. Check out all of the information on Dr. Yasko’s work by googling her name, and don’t listen to the quack at you know where. My son who is 6 and on the spectrum was tested. He came out as a high risk C677T. He’s currently on L-5-MTHF 5mg 2x a day. But Dr. Would like to go on an even higher dosage and prescribe Leucavann (SP). My son is also 6yrs old and on the spectrum. We just goth the script for him to get tested. Did you take your son to a regular lab for the testing (Labcorp)? I am working with a practioner who works with the Menash Clinic. They look at under-methylation and over-methylation in each individual, based on the work of a Dr. Walsh…It makes a big difference in the type of diet and supplementation protocols (as well as symptoms prior to intervention). The test is costing close to $300. yes. C677T(rs1801133) is mentioned in a least two abstracts on PubMed as being problematic for vaccine adverse effects. There does seem to be a positive correlation between these single nucleotide polymorphisms and autism, but it is a multifactorial issue; other things also can cause autism, such as mitochondrial disease. A1298C(rs1801131) is mentioned in one PubMed abstract as causing hypersensitivity to low concentrations of mercury. Bottom line: the methylation cycle, of which MTHFR is a part, is instrumental in detoxification of heavy metals. Be careful with any sources of metallic contaminants. I was(operative word:WAS) a chemist(environmental, did lots of heavy metals analysis) in my working girl life. I am not recommending that profession to any of my children, because we all have significant MTHFR snps. Check out the neurologist Dr. Perlmutter on autism link to gut bacteria. I would also love to confirm the already existing link between MTHFR & vaccination in the literature. My kids have the mutation and autism. We saw good results with MB12. I did the test for the mutation. I got 677C >T and 1298A > GG. I immediately left town upon receiving the dx, and do nothing to help myself, except avoid folic acid. I’m in the dark. Extremely. If you could provide any information at all regarding this double mutation, please add me to your mailing list. Diana, I am compound heterozygous for MTHFR. I had made the appropriate vitamin changes, in addition to avoiding gluten, MSG, free glutamate, etc. and other allergy/intolerance foods. I still had headaches until I stumbled on lecithin. I use sunflower lecithin capsules (soy lecithin is also used, but I prefer to avoid it). Lecithin seems to fix the choline>methionine pathway that gets fouled up for some of us. I take two sunflower lecithin capsules a day, and no more migraines! Hope this helps! THANKS Julie, I too am compound heterozygous for MTHFR and made changes and feel wonderful now BUT for headaches. So I am getting sunflower lecithin today. I will never forget a ski trip back when I was in college and i took all my foods packed in tupperware and my 3 day ski trip was ruined due to blasting headaches and fast pounding heartbeat and air hunger lung issue. I found out in retro that tupperware I used was impregnated with BHT & BHA which leached into my food. Was why instructions said not to wash in dishwasher (so BHT & BHA would not wash out (but did not disclose that part). I have been wondering if this could be the reason for my multiple miscarriages. I have had three miscarriages, and one successful pregnancy. During that pregnancy, I was put on baby aspirin. Knowing what I now know about MTHFR, it would make sense that the baby aspirin might have helped maintain the pregnancy. Now that I am planning for my next child, however, I would like to get to the bottom of this and see if there is a more natural approach. I’m sorry for your losses. I too had a miscarriage as well as a stillbirth. After losing my daughter I was found to be homozygous mthfr. After this we went on to a full panel of blood disorder testing and found two others, Factors 2&5. In turn, I also took baby aspirin during my ‘rainbow’ pregnancy along with added prescription folate but the kicker was taking lovenox after my c section to ensure I didn’t develop blood clots and making sure I NEVER take estrogen again. There is so much more information now about mthfr than 5 years ago when we lost our baby, it’s interesting to follow. I hope for the sake of so many mamas out there that more information and solutions come to light with more studies. Good luck with your next pregnancy! Your story is unfortunately so similar to many women I have treated in my practice. MTHFR could certainly be playing a role in your pregnancy complications, with the baby aspirin definitely highlighting that as you mentioned. If you’d like some more information on how to prepare for a healthy pregnancy with MTHFR I have been focusing on MTHFR in preconception on my blog lately, so have several posts that may suit you perfectly! 1. Why is MTHFR important in preconception and pregnancy? 3. Could MTHFR be the Reason for your Pregnancy Complications? I wish you the best of luck in supporting your MTHFR gene mutation and my best wishes for your future thriving pregnancy/ies! I have MTHFR and a blood clotting disorder (Factor V). I had several miscarriages as well. Took baby aspirin with my second live birth, but not my first (wasn’t diagnosed with until after my second pregnancy). Took heparin and baby aspirin with one pregnancy, but lost the baby. Good luck to you in TTC. It can be an emotional roller coaster! I had the same issue but I had placental abruptions in the last trimester. My last pregnancy I was out on baby aspirin with no issues. I was told by my doctor that after the age of 30 there is higher risk to myself and the baby. 50% chance of me making it through the pregnancy and 10% for the baby. I had 2 miscarriages before I was tested for mthfr and I am homozygous c677t. I had to do injections of heparin, a blood thinner, in my abdomen 2x a day while pregnant. Now I have 2 beautiful children! I had a child born with a nueral tube defect. Shortly after her birth my OBGYN had me tested, and I have the MTHFR mutation. He put me on an already broken down version of folic acid (so that my body could absorb it) 3 months prior to trying to conceive our second child. She was healthy. I had also had a miscarriage prior to my first child. There is hope for you! I was extremely ill because of my MTHFR mutation. My oldest son has it too and has autism. Treating his MTHFR helped his autism symptoms. I was so sick my hair was falling out, I had serious brain fog, extreme fatigue, psychological issues like anxiety, depression, fear and claustrophobia all due to MTHFR and b12 deficiencyies. My doctor was blown away when she gave me my first b12 injection and almost all my symptoms went away. MTHFR can be very debilitating if left untreated. Please be careful with B-12 shots. My husband was prescribed monthly injections. After viewing “Trace Amounts” we checked the ingredients. Lo and behold it contained thimerosal. After further research we found a food based form: Garden of Life mykind ORGANICS B-12 organic spray. Thank you. I love Garden of Life. No wonder my B 12 makes such a difference. How did you get tested for it? My sons and I (and my ex husband, their bio dad) all have MTHFR gene mutation. Glad to see an article and information getting the word out to more people. Is there research showing that people with the mutation should not be vaccinated? There is no reason to ever be vaccinated. It will wreak havoc in your body regardless if you are healthy at the injection time or not. Your body can usually fight diseases itself and if not supplementation can help. No one should ever be injected with chemicals period. I also did the 23 and Me testing. I got my results back, but I’m not sure what to look for when trying to determine whether I have MTHFR mutations. Can you give an explanation on what to look for when viewing your results? I am wondering the same thing, how to check 23andMe data. Tell me if this is what you did– go to the Tools tab up top, scroll down to Raw Data, then type in the names C677T and A1298C in the search bar and see what comes up. That’s what I did, and I would get a response like “No genes or markers found matching ‘A1298C ‘”. I did as well, then I put the info in the Sterling App from the MTHFR support website: https://mthfrsupport.com/sterlings-app/ . I think it cost around $30. I’m not sure if there is another way to do it. I met with someone in my area to go over all the mutations that were covered but so much of it went over my head. Even though I do not have have the C677T mutation, I am Heterozygous for the A1298C. My son had a slight tongue and lip tie that we haven’t dealt with yet (he will be 2 soon). There is so much to read up on! Heather what program did you use to interpret your 23 & me results? Or did you go to someone in Nashville? I’m local to Nashville and curious. Just ordered the test and anxious to have answers. ? You need to download the raw data to your computer, then upload the raw data into a site that can read it and give you a report. Genetic Genie gives methylation and detox only for a donation. I also used Livewello and it gives more information. Something genie.com…I downloaded 23andme results to them & they diseminated them for me. I did the 23 and me too and the results do NOT provide any data for MTHFR. I emailed them and they confirmed as such. Disappointed because that was a primary reason I chose to use 23 and me. A waste of $199. Dawn, you can run your raw 23 & Me data through something like Genetic Genie to determine your MTHFR status. http://geneticgenie.org/ I believe it used to be free (with a donation option), but they may charge a small fee now. Not sure on that. Heather – what did you do with the results? My boys and I are tongue tied but have not done anything to find out about if MTHFR is present. You only need to purchase the cheaper ancestry kit and then run your raw data through a data interpreting site such as Genetic Genie or any other ones. I also really like knowyourgenetics.org for interpreting 23andMe data. (Also, FYI, if you have already tested your DNA at Ancestry for…well, ancestry purposes…that data does include the major MTHFR SNPs. (Or at least it *did* — it’s worth putting through a third-party service to check before you pay to be tested again.) But if you haven’t tested before, 23andMe is the better bet for medical purposes because it contains a broader range of medically-relevant data. I just wanted to let folks know that some of you may already have that information sitting around in your computer and not know it! I too have MTHFR and have had 3 miscarriages. I had one healthy pregnancy (my first). After my first miscarraige I found out I had a Septate uterus and we figured the miscarraige was due to that. We decided to try again and miscarried. I started seeing a fertility acupuncturist that decided to test me for MTHFR. Once I found out I did have it, I started taking Methyl-Guard Plus and multi vitamin from MyKind organics because it’s the only one I found with folate. I became pregnant and informed my OB about my MTHFR and she didn’t think it was a “big deal”. Well, I miscarried again. I don’t know if it was due to the Septate uterus or the MTHFR, but it was such an emotional roller coaster that we decided to not try again. Thank you for this post and bringing out and informing people about MTHFR. We have septate uterus in the family, many pregnancies, my daughter, 4 c-sections n very healthy babies all 8 pounder plus. There are many genetics mutations in addition to MTHFR and just because you are heterozygous or homozygous does not mean the gene is expressing itself. It is important to talk to a professional who knows how to interpret and what other signs to look out for before going and supplementing. At his conference this past year, Dr. Lynch made a big point of saying do not focus on the mutations until underlying healing has been done, otherwise you are wasting your time. Sandra, could you please elaborate on your last paragraph? What underlying healing is he referring to? This article is eye-opening. I just found out a few months ago that both my dad’s two sisters have been diagnosed with both of the MTHFR mutations. Currently I take the Garden of Life food-based B12 spray, but am looking for vegan-friendly versions of B6 and folate (methylated of course). I can’t afford genetic testing right now, but I figure it can’t hurt to take the methylated versions of all 3 of those vitamins! Can anyone share their favorite supplements? And does anyone know whether or not nutritional yeast contains methylated forms of B vitamins? I’ve been unable to find that information on the web. What do any of you give your kids for supplements? I started my eight year old on homocystex from Dr lynch, because it works so well for me. I’m curious what others are doing that works. Thanks! What are your suggestions from the beginning he cannot comprehend anything. I have been sick for over two years. I see a functional medicine doctor but she overloaded me on supplements so my liver and my adrenals are shot right now. I can’t afford a doctor at this point but I need to do something. Any suggestions on what I should be taking just to start? That is supposed to say questions for a beginner. Your post caught my eye because my naturopath just recently wanted to test me for this! I’m not going to lie, I still haven’t even dug into this subject enough to totally know what’s going on. She said I had 1/2 mutations from each parent and I’ll admit I was too bewildered to say anything so I just nodded my head and she said we wouldn’t worry about that now, while we addressed my other issues. I’ll definitely check out the resources you provided by Dr. Lynch. Thank you!!! I have heterozygous MTHFR. I have had a pulmonary embolism after childbirth and one of my sons also has MTHFR. I also had anti phospholipid antibodies that could have caused my clot. I have been struggling with depression and my psychiatrist put me on 15mg of Deplin, it has helped greatly. So glad to see information on MTHFR! What does this have to do with ADHD? No. Both parents would need to carry for you to be homozygous, but you can be “compound heterozygous” (have one of each) if only one parent carries both. I am mother of two. Had health and normal delivery for the first child. In my second pregnancy, I suddenly had a PIH at the last trimester which the pregnancy ended that day but got the baby. Unfortunate for me, the PIH developed to post partum eclampsia which nearly took my life. Surprisingly all these kids were touque ties not just that but very big that the second born touque was not able to raise. This post has given me insight on MTHFR. My question is Do I need to seek genetic counselling advise? Hello, Heather! I am a fellow Nashville area resident. I was curious which doctor you went to or if you can recommend a good doctor in our area that is truly knowledgeable. I have struggled to find one here. Thank you! Two doctors I have had in the last few years know nothing about it and explained nothing to me. My take on it is that nomut means no mutation in the C677T and the no mutation in the A1298C but that there is one strain heterozygous from one side of the family, but since it is written twice, I am confused. Can anyone tell me what this lab result means? My daughter and her daughter both tested positive for MTHFR. I am so totally confused as to what this means to both me and my children. Your formatting is not carrying over, so it’s a little hard to read. Your best bet would probably be to call the lab that did the test and ask them to clarify the language used in the test results. But my best GUESS would be this is saying you are compound heterozygous — meaning one mutated copy of each of those genes, and one normal copy of each gene. Could this mutation be linked to reoccurring fever syndrome ? I’ve been wondering too. I’ve run a fever (99.6-100.6) for more than 3 years. My Dr has tried a number of things, but nothing works. He did just find I had Epstein Barr. I am compound heterozygous MTHFR. I’d seriously like to ditch these fevers and pain and get my thyroid working! Great article! Everyone should be on customized supplements that use Methylfolate and MethylB12 (Methylcobalamin). Your past history, medical conditions, and lifestyle make you unique. Your vitamins should be customized to you. What is the best type of specialist to go too when diagnosed with MTHFR? I have two copies of C677T gene. To throw another wrench into things, I recently read an animal study that determined excessive folic acid intake creates MTHFR-mutation-like effects even in those without MTHFR mutations. We’re doing way too much “enriching” of our foods with synthetic vitamins in bizarre (as in not-nearly-natural) proportions. My son was tongue tied and lip tied. I had a nightmare of a feeding story. I’m just recently pregant again. I feel that I have the MTHFR gene. Should I be nervous to take folic acid ? Can I take just a foliate supliments? I was given Folgard (generic version – FABB) prior to my pregnancy. It was explained to me that it is folic acid in an already broken down form that my body could absorb. Dr. recommended I start taking it 3 months prior to trying to conceive and continue throughout pregnancy. I had a healthy baby. My brother has this and encouraged me to be tested which I was through my general practitioner, who knew nothing about it. I tested negative he said but now I’m questioning whether he knew what he was looking for and should I be tested by someone who actually knows. I was also tested for factor 5 which also was negative. Do they go hand in hand? Maybe you have answered this already, but why did you decide to get tested? Just because your kids had tongue tie or did you have other symptoms? Great info for the beginner. I’m 58 and I’ve had problems that have stumped my doctors for most of my life such as migraines, random blood pressure spikes, bleeding disorders, immune disorders, multiple miscarriages,and a stillborn. I even had a stroke at the age of 28. Last summer I had a second stroke followed by a mild heart attack. The doctor in the hospital suggested I get tested. My insurance covered it. I am heterozygous and apparently I am one of the unlucky few who have severe problems. I had always been healthy with my eating habits but have stepped it up a notch and added in methylfolate. My family doctor and neurologists have researched MTHFR with me and we all are in agreement with my treatment. I’m like a new woman! I forgot to mention, my daughter was tested (again, insurance covered) and she was positive for both. Dad must carry a mutation. She started therapy and has seen a difference as well. She was relieved to learn that her difficulties were not “all in her head” as one doctor put it. I have been tested and it looks like I am a compound heterozygous. I have a mutation in the c667t and one in the a1298c. I am currently pregnant but after researching some issues, this popped up. I was tested 2 years ago but, did nothing with the info. I am now wondering if my depression, fatigue , brain fog, etc… is all tied to it. Thank you so much for all of this information. And, putting it in layman terms. Just wondering if you could help. I’m in need of antibiotics but am scare out of my mind on which ones they will give me. So far I’m allergic to Penicillin, Bactrium (which landed me in the hospital for 3 days. They did try another one while I was in but I had a reaction to that also, don’t know what it was) and Fluoroquinolones, which pretty much ruined my shoulder tendons. I saw in your article that you might have a couple you would use if you HAD to, can you please let me know? I really don’t want to get sicker than I am just to try and get better. I did try to message you on Facebook but that wasn’t an option, you can email me if you need to. Please help a momma out! Thanks so much!! Get a copy of your hospital records for that stay. They have to give it to you. It’s very common. Half the infections that you might get are viral, so antibiotics won’t work. You usually get better eventually from any infection that requires antibiotics. It probably helps pneumonia, but that can be viral also. Start investigating all your regional doctors, including allergists. No one wants to make their patients sicker. I would think seriously about naturopaths and Chinese medicine practitioners. They are very useful when regular medicine doesn’t work. Stick with it and google everything. You will find a lot that isn’t well known. The head of pharmacy in your hospital ought to be able to figure out something. You can call them to discuss it in case you need to be admitted again. They would love to solve your problem. I completely understand that our DNA doesn’t necessarily determine our destiny (for example a healthy lifestyle can keep cancer at bay/not switching on a particular gene, etc), but in the case of this gene mutation and my own personal experience, it has really got me rethinking my belief on this. You see, for a decade before I got diagnosed as homozygous C667T in 2013, I had already been eating clean (whole food, completely organic, primarily plant-based diet (7-12 servings of produce per day) with a little bit of lean meats…nothing conventional or processed), drinking clean (8-10 cups of purified water daily…rarely ever drinking anything but water), exercising, using only non-toxic cleaners and non-toxic personal care products, no fragrances, air purifiers in home, etc. Heck, I even had all of my amalgams removed (and never let my children get them at all) long before I had ever heard of, seen, or was diagnosed with MTHFR. Unfortunately, none of this was not enough for me to stop the devastating effects of this gene mutation for me and for my three children, who are also homozygous C667T. I truly don’t know how much toxic free I could have been living unless I put my family in a bubble. (I was a health coach practicing what I preached). I ended up in a bed-ridden state with severe fibromyalgia, chronic fatigue, neurotransmitter damage, thyroid issues, food sensitivities/intolerance, severe leaky gut/digestion and absorption issues that lead to severe vitamin deficiencies, muscle atrophy, extremely high systemic inflammation, and the list goes on…all rooted in MTHFR and the havoc it wreaked on my body (and that of my children, who could ramble their own long list of symptoms caused by MTHFR). So, I do hear similar comments on many MTHFR forums that MTHFR doesn’t dictate your destiny…or that you can stop it from switching on…(that keeping toxin exposure to a minimum and eating clean, etc. can prevent this gene from doing basically what it ended up doing to my family and me), but now, I truly beg to differ (speaking from my own personal experience). Any thoughts?…(because this has really rattled one of the very concepts I had always believed and talked about in the wellness presentations I used to give before I had gotten so sickly). (Thankfully, after 4 years under a naturopath’s care, my whole family has recovered). Now, I am just not in full agreement with this comment. I know your comment was a long time ago so I don’t expect you to comment back, but I’m desperate, so I had to try. I’m having all these same things that you describe above and doctors just keep saying it’s anxiety. I definitely have severe anxiety, but I think it’s more than that. I was tested a few years ago and I do have the MTHFR mutation and have been taking l-methyl folate for about 2 1/2 years. I kind of just left it at that but my symptoms are getting so bad (pretty much everything you’ve described above) so I decided to google info on MTHFR gene mutation and I’m almost positive it’s got to all be related. I can feel that something is just terribly wrong with me and feel like I’m getting weaker and more tired by the day. My question is, how did you find a doctor that is familiar with this kind of thing? I’ve gone to regular MDs and they are so quick and dismissive and just try to throw antidepressants at me (of which I’ve tried several in the past, and they didn’t really help most symptoms). I’ve also tried Naturopaths (that’s who did the MTHFR test originally) but they are seldom covered by insurance and they more often than not just want to shove a bunch of supplements (usually with their name on the labels) down my throat. I feel like I just keep spending a lot of money and getting no results. But my health is declining. I sepwear I’m not insane. Any help/guidances that you (or anyone else on this thread) can provide would be great. If your doctor that finally helped you is in the California area, I would love their info! thanks for this article. I’m going to study it carefully. There is so much about health that we don’t know at this point. In your article, you State that MTHFR testing can cost up to $1,000. I had all of my children tested in the past 6 months. The test was $200 from LabCorp before insurance. Our commercial insurance covered the tests at 100 percent because I have homozygous C677T according to 23andme. Of course, it only tests the MTHFR SNPs, not other methylation genes, but it’s CLIA certified, which doctors prefer. Thank you for contacting the 23andMe Team. 23andMe does not include a health report incorporating the MTHFR gene. Are there any other reasonable options? Hey Kari, last time I checked they test for it, they just don’t include a health report that explains it. so how do i get mthfr results then?? Thanks so much for this informative article! I have read several articles on MTHFR to see what the link might be between it and pre-eclampsia. The more I read, including your article, the more I am convinced I have it. BUT, I was tested for the two mutations you mentioned above, and the test came back negative. 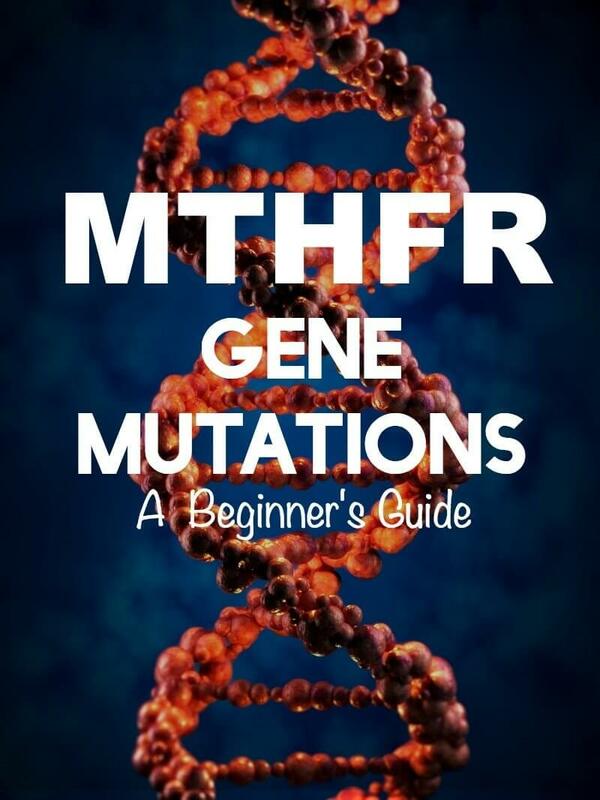 It seems likely to me that since there are some 50 known mutations that it is still possible to have MTHFR even if you test negative for it. Would you concur? Hi. I am Homozygous c6 and on my fifth pregnancy. I am taking 900mg/day of methylated folate. Do I need to avoid foods that are fortified with folic acid, such as cereals, protein bars, etc? Or is my supplement of methylated folate good enough? This is all amazing to me. I was told I had the MTHFR gene mutation after having blood work done at an internal medicine doctor. I have had 3 miscarriages, and of my seven surviving children, 3 of my children are asthmatic and 3 that were tongue tied. I was on Lovenox/heperin with the last 3 children to maintain the pregnancy. I also was diagnosed with MS, with lesions on both the brain and the cord. (Mayo ruled out Lyme disease 3 years in a row). I have taken the correct type of folate and have gotten my B-12 up, but I wonder if I should be extremely strict about consuming foods with folic acid? Also I wonder if there has been any information on how to combat MS relapse with this information. I would love to be off treatment with no relapse. What can I do to protect my children that have this gene? I asked my hematoligist about the gene and he said it wasnt a big deal as once thought, but it seems like a big deal in my life and many of yours. I was recently diagnosed with Lyme disease. I was tested for the MTHFR Gene and results came back that I have two variations of the gene. For 3.5 weeks I sick and only one doctor would listen to me, thank goodness. All others kept telling me I strained the muscles in my neck and shoulder. Well they were wrong! Please any help will be excepted… Thanks! My husband was tested through 23 and me and he does have a heterozygous mutation of MTHFR C677T +/- we do want to have children in the near future my question is should I also get myself tested as well to make sure that I don’t carry the variant of MTHFR? To my understanding if we both have it this increases the risk of our child having a mutation. Does anyone know which test (if any) at FamilyTree DNA I should get in order to get MTHFR info? I want to use this on my son, but he’s too young to spit into a vial and FammilyTree DNA does a cheek swab instead of spitting. I Just found another test that does a cheek swab – MyHeritage. Does anyone know if this one tests for MTHFR mutations? I was just wondering how the mutation presents as symptoms in toddlers? My son is 16 months old. He had a lip and tongue tie that we got revised when he was 5 weeks old. He is a terrible sleeper, he always has been. I was talking to a friend about his sleep habits, and she suggested the mutation and magnesium deficiency. I just don’t know what to look for to see if this could possibly be something he has. My doctor checked it through blood work. Is it not accurate to check it through blood? I just did 23& me and did it solely to check for MTHFR and did not receive any results indicating that they tested for this so I called the company and the woman told me they do not test because their scientists have found that it’s not relevant for human functioning or something crazy like that! How is it that other people have had MTHFR results via 23&me? So I got the 23andme test done but am unable to find anything about MTHFR in the results. Is there some special way to read the results to know if you are affected by the MTHFR gene mutation? Please help…..
You mentioned adverse reactions when supplementing with methyl folate and methyl b12. Could you elaborate on that? My 40 lb 3 yr old is homozygous A1298c and speech delayed. We know b12 plays a big role in speech. When we gave him these supplements in small doses he is more prone to erratic and aggressive behaviors. I’m looking for insight on this because when I don’t give him any and just give him a lot of zinc he’s just happy as can be. Thank you! So, I have to tell you. I came across THIS exact page a while ago. Probably not long after it was written when I began my research after my diagnosis with heterozygous A1298C MTHFR. I was also going through strange symptoms, seeing a…oh I forget what they’re called- basically he will test further than ordinary medicine. He goes further and deeper than than insurance will “allow” doctors to in standard practicing medicine. My strange, strange symptoms that changed daily. (At 25, 29 now, I was using a walker and unable somedays to walk 10 feet without it, extreme pain, insomnia, and so much more. Took the best Lyme test you can take which I am also forgetting now. BRAIN FOG, it’s the worst and like I said this was about 4 years ago- I have since been through a LOT more.) But to get to the point I had NO idea you were the same person who helped me SO much in the beginning. 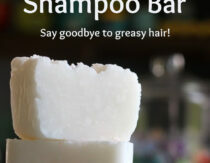 I happened to come across you recently as I have been switching over to a more natural lifestyle and (since I LOVE cleaning as a hobby..so strange I KNOW) I saw your page and was so amazed by your knowledge and recommendations of things to try. Especially about DE. Turns out, I was cleaning out my pantry (I live with my parents as they help take care of me,) and found a whole container of food grade, unopened DE! I was SO excited. My mom originally purchased it for my health (she is so knowledgable about all of this stuff to and is wonderful about helping me to get healthier.) But you have just blown me away and I am so incredibly grateful. When I saw the MTHFR page, I was like WOW that’s HER!!! (Also I just have hetero MTHFR A1298C but I have EDS3 (I believe, they just changed the names on us, Ehlers-Danlos Syndrome Hypermobility, Lupus most likely, I am positive for every single physical aspect but the blood work is not matching up, so it is some severe autoimmune disease but it is hard to know 100% exactly what it is, seems that with A.I. diseases are hard to totally pinpoint without narrowing things down first like what I for sure don’t have, arthritis, small fiber neuropathy, dysautonomia or to be specific POTS (Postural Orthostatic Tachycardia Syndrome,) I get EDS & POTS from both of my parents unfortunately. I think that may be all I have….or all I can think of for now. I was first diagnosed with just fibromyalgia but my mom and I refused to believe that at 25 I would need a walker for the rest of my life due to “unknown widespread pain” etc. So we sought out any and every specialist we could (which for living in a city like Austin, TX you would think there would be more than ONE!) To sum it up I had to let you know that you are wonderful, amazing and blessed, and a blessing. Thank you for sharing all of this information with people like me who want to change for the better, but have 0 idea where to start because we are so overwhelmed and are looked at as insurance codes. I love learning about amazing items that are all natural that I can make/use safely around are pets and family to improve my home and health. Keep on keeping on. Can’t wait to get your e-book!!! You’re in ATX too?! Sounds like we have similar health Issues. What doctors have you seen that have been helpful? I can’t believe in Austin its been of hard to find answers! Hi! Do you know anything about a link between mthfr mutations and graying hair in children? My daughter is almost 9 and has starting getting grey hairs. I’m super worried about it. I know that I have an mthfr single mutation. I haven’t had her tested. She is a very healthy child otherwise. We eat 80% clean healthy eating and take daily vitamins with methylated folate and b vitamins. We have an appt with a dermatologist coming up but I wondering if you knew of a link for greying hair in healthy children? I am homozygous c1286ac. I knew something was going on when I couldnt clear dental numbing medicine and maintained low b12 after cynab12 shots. Will eating cleaner and regular detoxification be enough? What other testing would be useful. I am hypothyroid as well. My last two babies have had lip and/or tongue ties; however, the prenatals I took for each of them listed folate not folic acid. What could that mean or what am I missing? Just because your child has a tongue/lip tie, does that automatically mean I and they have the mthfr gene? Does it need to be treated? If so, what is the treatment,? I read this, but i didn’t see anything. Or I overlooked it……. If a person has a download of their DNA results, how can they tell if they have MTFHR mutations so they can seek help from a healthcare professional? What multivitamin would you recommend for kids with MTHFR? There are so many on the market and I want to find the one that is quality/safe/true what they claim on a label and appropriate form for MTHFR. Just wanted to say a big thank you to Mommypotamus for posting about MTHFR mutations. I still don’t know tons about it (and haven’t had myself or my daughter tested), but your site/posts, Heather, were the only things that calmed me down after my daughter had an awful reaction to her 2-month vaccines–I knew in my gut that her reaction was related to methylation. And I later realized that I am likely an over-methylator (as was my father, I think, which also answered a lot of questions for me). I haven’t done enough reading but after reading a bit from Ben Lynch, I started taking nicotinic acid, and it makes me feel like a different person. I am so grateful to you, Heather, for sharing and informing us about this! There are ways to get your babies/toddlers tested for mthfr with a saliva swab test. I had my son’s done through a functional medicine doctor, she didn’t recommend the 23andme for him since I wouldn’t be able to get enough saliva. I think the test cost around $130. If they do have the mutation you should be able to get a vaccine exemption. Conventional doctors aren’t really all that knowledgable of mthfr mutations or, in my experience, seem to think its that big of a deal so you chances are you may have better luck going with a functional medicine dr. Its more expensive but my sons health is worth it. Can you find out the lab? Should I Have my 7 year old tested if he is getting his tonsils out? Simple Question: If symptoms, labs, historical dx’s, and family history all points to MTHFR mutation, how do I interpret long-term, *extremely* high serum B12+Borderline/High Homocysteine+”Normal” MMA and Folate? 1500 and even over 2000 serum B12 (considered rare and potentially very dangerous). Clearly high serum b12 doesn’t imply normal bioavailable B12, right? I do not take B12 supplements or eat B12 enriched foods. Haven’t even eaten mammal in 28 years. Family history of Vascular disease, mood disorders, digestive/GI disorder, bladder/thyroid cancer, cardiac disease. I have been waging a 25+ year “holistic” war against succumbing to chronic disability, yet diet/exercise/lifestyle tools are growing as quality of life is shrinking. 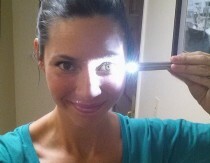 Dx’s have included FMS, CFS/ME, Lyme. Thanks everyone for so much knowledge, wisdom and experience! Hi, I got my 1 yr old son tested and he has heterozygous ag mthfr C677. I got him tested when I realized he had lip tie 10 months into breastfeeding.. I’ve been having overwhelmedwith anxiety thinking that during my first 6 weeks of pregnancy— before I knew— where I was not getting enough folate or choline. He is developing very well, I just worry that he’s not going to reach his potential bc something I failed to do. Maybe if I had eaten more folate or choline he wouldn’t have lip tie or other problems down the line? My son has tongue tie. He is a newborn. I read you had your older children tested but that tongue tie helped you realize you might have the mutation. Does his tongue tie mean that he is likely to have the mutation or that I am? Or both? It frightens me as I’ve read it can lead to autism. He has no signs of this now but he is only a month old. Also is there any relation to obstructive sleep apnea? I also have Hashimoto’s and had thyroid cancer. I have a leaky gut and adrenal problems. I have tests leaning towards Cushing’s. May I respectfully add something here that no one is talking about. Dr Jack Kruse has lots of info about how nnEMF and blue light toxicity is behind most of our chronic disease, including methylation issues. It is worth checking out. I ask myself this question… If 30% to 50% of the population have this mutation then why has this become so much of a problem in the past few decades? Common sense would say that this has been in the population for a very very long time . What has changed? We are now bathing in a sea of artificial light and blue screens and wifi … everything labeled ‘smart’ , our electrical wiring , our addiction to our cell phones . Hey Momma, Dr. Lynch has changed up his website and it screwed up all your source links. I’d love to read more by following you to your sources. When you get a minute, please consider re-editing this post to re-establish those links. Thank you and God bless! I take cyanacobalamin (sp?) shots. Would that affect me negatively if I have this mutation?